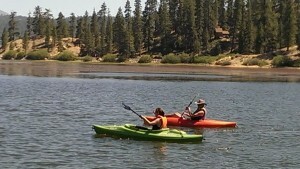 *Big Bear Kayak Rentals are First Come First Serve. 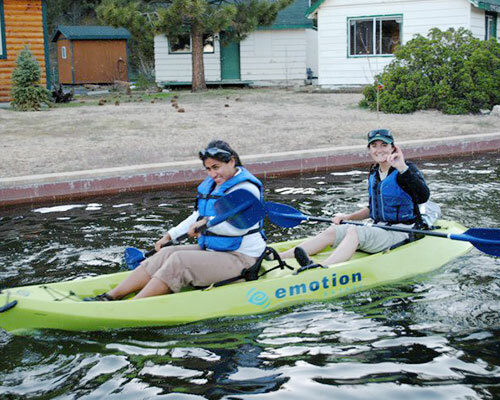 Big Bear kayak rentals allow you to cruise around to enjoy and “feel” the lake and get closer to nature. 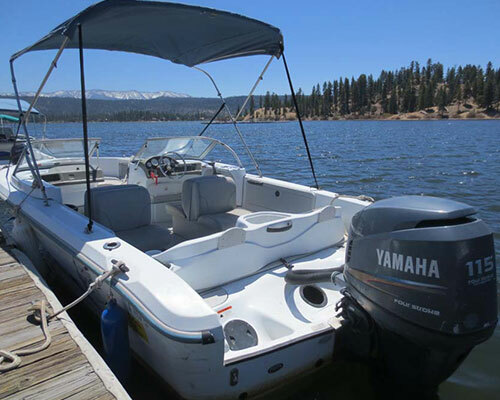 This is why Captain John’s Fawn Harbor & Marina Big Bear recommends watercraft sports as a relaxing social activity or as a unique exercise option instead of your usual daily run or walk. 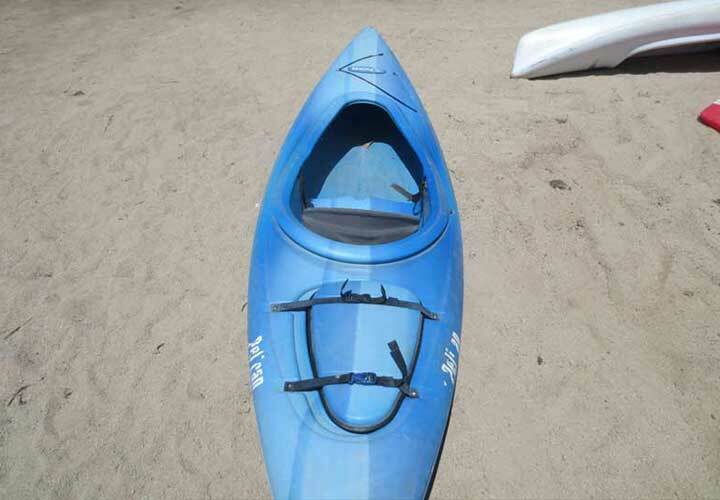 We think you’ll find kayak rentals on Big Bear Lake great not only for connecting with the outdoors but with each other. Families find that getting the kids into the kayak paddling effort helps to burn off some of that high energy and helps them to sleep all night. 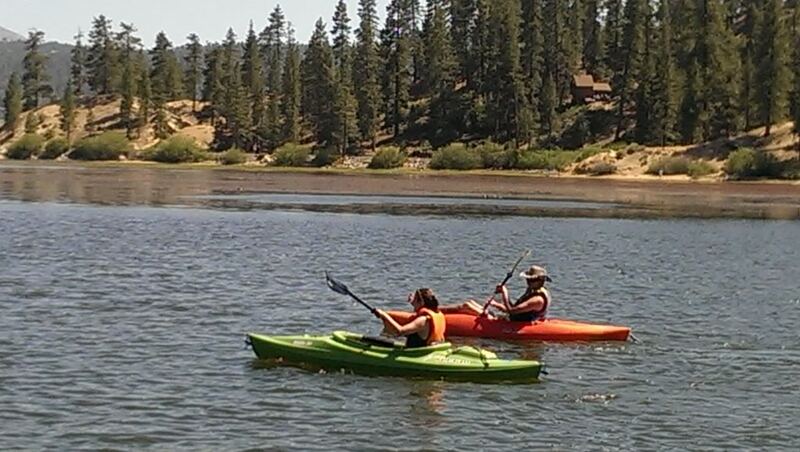 Big Bear Lake offers the kayaker a peaceful way to take in the views but we also offer the perfect spot for picnics, a game of horseshoes, swimming, sunbathing or simply relaxing. 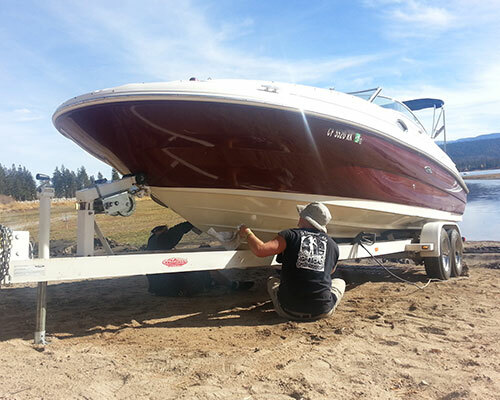 This year our lakeside beachfront offers amazing opportunities for boat or shoreline fishing for bass and trout. 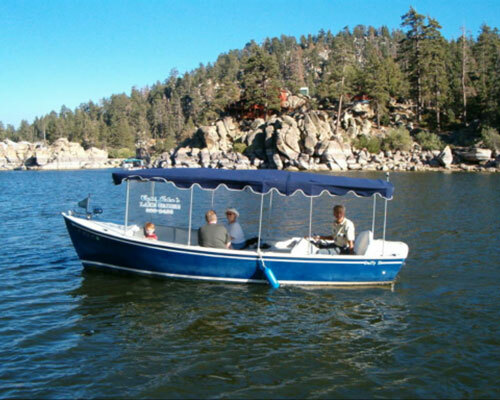 Watercraft excursions are suitable for people of all ages and kayaking abilities and our fleet includes rental vessels of all types which allow you to take and enjoy a self-guided kayak trip around the lake or, if you prefer, paddling around casually not too far from the marina or shoreline. Whether you decide to take a guided nature tour or a individual kayak rental, you’ll enjoy the serenity of the high altitude scenery and also get closer views of the wildlife found in the nearby nature preserve. If you are up for it, take an eco-friendly nature tour with one of our staff members. You can pick your vessel (kayak, canoe or stand-up paddleboard) and enjoy a leisurely discovery tour that will let you view some of the local wildlife and glimpse a variety of birds. 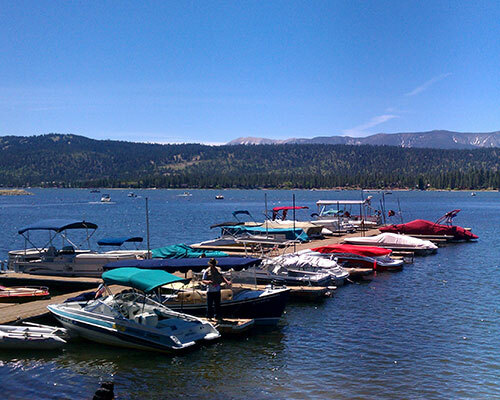 Big Bear Lake is in the Pacific Flyway which means bird watching is at its best from the lake surface. Keep your eyes and ears open for bald eagles, herons, osprey, egret, different waterfowl species and more. Be sure to tell us about your unique sightings when you check out. 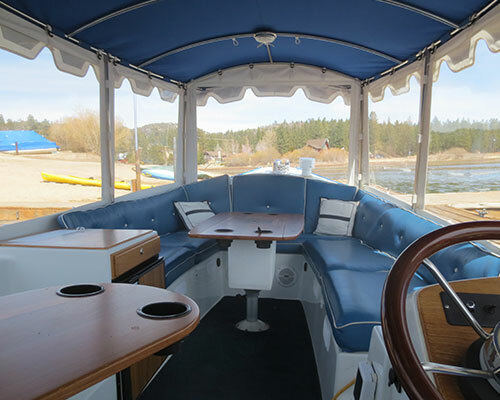 Captain John’s is open for Big Bear canoe rentals and kayak rentals seven days a week during peak season (May – September) but we also offer off-peak fishing boat rentals, boat services and dock services (October – April). 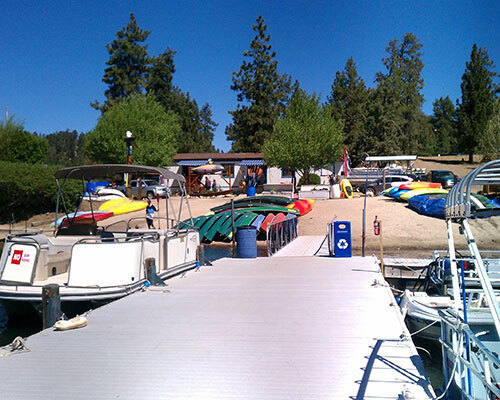 Captain John’s Fawn Harbor & Marina Big Bear is located in a nature reserve where you can enjoy the peaceful environment and relax on the open water while enjoying the scenic views, birds and other wildlife. 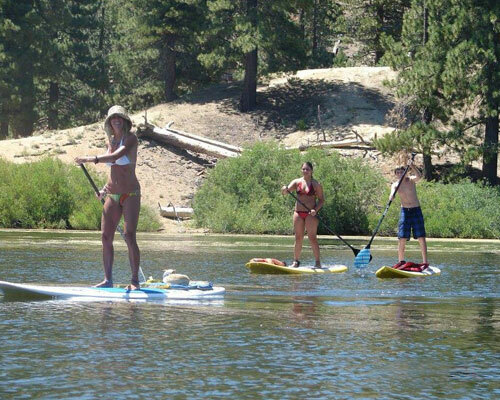 Choose a stand-up paddleboard, canoe or kayak and embark on a nature tour guided by one of our staff members. Call us for more information.